Cadence Minerals (AIM/NEX: KDNC; OTC: KDNCY) is pleased to note the announcement yesterday by Bacanora Lithium (AIM:BCN) (“Bacanora”) that its 50%-owned subsidiary, Deutsche Lithium GmbH, (‘Deutsche Lithium’), has been granted an additional Exploration Licence (‘the Altenberg Licence’) covering approximately 42km² in the Erzgebirge (Ore Mountain) region of Saxony, Germany. The Altenberg Licence, which completely encloses Deutsche Lithium’s existing Zinnwald Lithium Project (‘Zinnwald’), has the potential to significantly increase the life of mine at Zinnwald. The Altenberg Licence forms part of the same geological unit that hosts the historic Li-Sn-W deposits at Zinnwald and Falkenhain, where Deutsche Lithium has existing mining and exploration licences. The deposits on the Altenberg Licence have been explored and mined historically for tin, tungsten and lithium. Historical exploration data indicates additional exploration targets are present within the Altenberg Licence that could host lithium, tin and tungsten mineralisation. Deutsche Lithium plans to investigate the deposits on the Altenberg Licence over the next five years and to combine its exploration and development with its Zinnwald and Falkenhain licences. The 5-year Exploration Licence was issued to Deutsche Lithium by Sächsisches Oberbergamt, the Saxony State Mining Authority. ons with financial advisors and potential strategic partners with regards to a potential spin-off and separate listing of Deutsche Lithium. This is being considered to assist in the funding of the construction of a high value lithium operation at Zinnwald. Cadence Minerals CEO Kiran Morzaria commented: “To echo the words of Bacanora CEO Peter Secker – ‘lying on the same geological play as other mines in the area, the Altenberg Licence is an excellent addition to our existing Zinnwald lithium project. Earthworks for a new lithium hydroxide factory in Western Australia are expected to begin this month after the $1bn project received federal environmental approval. The plant owned by the world’s largest lithium producer, the US chemical company Albemarle, was approved by the WA government in October and is estimated to create up to 500 jobs in construction, with another 100 to 500 operational jobs once it is operational. 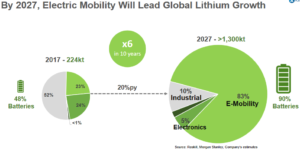 Australia’s trade minister, Simon Birmingham, said the plant would provide a much-needed local jobs boost and supply a growing global demand for lithium, which is used in renewable energy storage. “This is a welcome investment and vote of confidence in our local lithium industry that will help attract further investment into the future,” Birmingham said. Albemarle announced on Thursday that earthworks at the site at Kemerton Strategic Industrial Estate, just north of Bunbury, were on track to begin soon. “Achieving this milestone underscores our commitment and confidence in developing LiOH [lithium hydroxide] operations and in our overall strategy to drive significant shareholder value and meet our customers’ demands,” said Eric Norris, the president of Albemarle’s lithium division. The plant will process spodumene ore from the Greenbushes lithium mine, about 90km south of the industrial estate, and produce 60,000 tonnes of lithium hydroxide annually with capacity to expand to 100,000 tonnes. It will also produce a byproduct of up to 200,000 tonnes of sodium sulfate, and a million tonnes of tailings per annum. The company has been ordered to identify a new breeding and foraging habitat for WA’s three threatened black cockatoo species – Carnaby’s cockatoo, Forest red-tailed cockatoo, and Baudin’s black cockatoo – to offset habitat lost by clearing the 89ha plant site, including 54ha of coastal plain vegetation that is home to a number of threatened native orchids. The director of the Conservation Council of Western Australia, Piers Verstegen, said the environmental impacts of the project were “manageable”. “We think on the whole it’s a positive development for the south-west and one that could provide an alternative source of employment to the coal-based jobs in Collie,” Verstegen said. Collie, about 70km east of Bunbury, is home to four of WA’s five coal-fired power stations, fed by two open-cut coalmines. The Albemarle plan will run on gas, but Verstegen said he hoped the company would look into running it on renewable power. WA is the world’s largest producer of lithium, and the plant at Kemerton is the second significant lithium hydroxide manufacturing plant approved in the state since 2016. The state established a task force aimed at promoting the lithium industry last year, and the premier, Mark McGowan, met with the directors of Albemarle on a trip to Washington DC in February. The rapid emergence of electric vehicles (EVs) and related autonomous driving technologies and mobility services is disrupting the global auto industry in ways that would have been unthinkable just five years ago. Carmakers Ford and Volkswagen (VW) have forged a new low-carbon road transport partnership, which will see them work together to develop electric vehicles (EVs) and other clean technologies. Unveiled on Tuesday (15 January), the collaborative agreement will initially see the two firms jointly develop a range of commercial vans and medium-sized pickup trucks, which will be launched across all of Ford and VW’s global markets in 2022. Ford estimates that by collaborating on the development, manufacture and launch of these vehicles, the two companies will collectively save $500m (£387m) per year, starting in 2023. Looking to the long-term, the agreement signed by Ford and VW also includes a memorandum of understanding (MoU) that the two companies will “investigate collaboration on autonomous vehicles, mobility services and further EVs”. The carmakers have both started to explore opportunities in these three fields on a standalone basis. “Over time, this alliance will help both companies create value and meet the needs of our customers and society,” Ford’s chief executive Jim Hackett said. VW’s chief executive Herbert Diess echoed these sentiments, adding that the partnership would enable both companies to “harness [their] collective resources, innovation capabilities and complementary market positions to even better serve millions of customers around the world”. Both VW and Ford have stressed that the alliance will not involve any “cross-ownership” of product lines in the future. Funding made jointly will instead be funnelled into infrastructure and efficiency projects. The announcement is the latest in a string of EV-related success stories for VW Group, which last week launched a new company focusing on EV charging solutions and renewable energy offerings. Called the Elli Group, the new venture will be headquartered in Berlin and will develop and deliver products that assist the emergence and growth of the EV market, such as energy storage devices, charging points and ‘smart’ energy management systems. VW has additionally confirmed this month that it will invest $800m in the expansion of its manufacturing plant in Chattanooga, Tennessee, to install EV production lines at the facility. The first EVs to be made at the plant will be ID CROZZ SUVs, which are fully-electric and will be launched in 2022. The model is one of 20 fully-electric vehicles which VW has committed to launching by 2030 as part of its EV strategy. Ford, meanwhile, has pledged to bring 16 new fully-electric and 24 hybrid models to market by 2025 as part of its $11bn low-carbon transport plan. Launched in 2017, the first move detailed in the plan is for Ford to bring a fully-electric SUV to market in 2020. The news also comes as the venture capital arm of Volvo Group announced it has invested an undisclosed sum in Momentum Dynamics, a start-up focused on the wireless charging for EVs. The Philadelphia-based company specialises in developing and commercialising high power inductive charging for the automotive and transportation industries. Financial details of the investment were not disclosed, although Volvo said “the transaction has no significant impact on the Volvo Group’s earnings or financial position”. Advocates of wireless charging argue that it could streamline charging for EVs, making it easier for drivers to top up batteries opportunistically through car parks or even roads that feature embedded wireless charging systems. Stefan Söderling, investment director at Volvo Group Venture Capital, said the deal provided further evidence of the company’s commitment to green technologies, as well as its growing interest in co-operating with other firms working in the EV sphere. Brand CEO Alan Green talks Bacanora Lithium #BCN, Powerhouse Energy #PHE, Bluefield Solar Fund #BSIF & SciSys #SSY with Justin Waite on Vox Markets podcast. Alan Green CEO of Brand Communications discusses Bacanora Lithium (BCN), Powerhouse Energy (PHE), Bluefield Solar Income Fund (BSIF) & Scisys (SSY) with Justin Waite on the Vox Markets podcast. The interview is 19 minutes 7 seconds in. 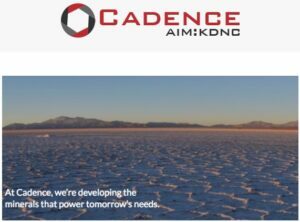 Cadence Minerals #KDNC – Bacanora Lithium #BCN announces NI-43-101 lithium resource estimate at Zinnwald Project, Germany. Cadence Minerals (AIM/NEX: KDNC; OTC: KDNCY) is pleased to note the announcement today by Bacanora Lithium (AIM:BCN) of NI 43-101 compliant Measured + Indicated resources of 124,974 tonnes of contained lithium (‘Li’) at its 50% owned Zinnwald lithium project (‘Zinnwald’ or ‘the Project’) in southern Saxony, Germany, representing a 30% increase from the previous PERC resource estimate of 96,200 tonnes. The total resource estimate for the Project (Measure + Indicated + Inferred) is 142,240 tonnes of contained Li. 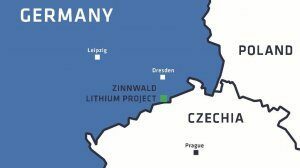 The mineral resource estimate forms part of the Feasibility Study (‘FS’) for a high value lithium product operation at Zinnwald that will supply the fast-growing European battery and automotive sectors. The FS remains on course to be completed in Q2 2019. The Bacanora Zinnwald project is located in at Zinnwald SE Germany, some 35 km from Dresden and adjacent to the border of the Czech Republic and within 5 km of the town of Altenberg and 50 km of the town of Freiberg. The Project is in a granite hosted Sn/W/Li belt that has been mined historically for tin, tungsten and lithium at different times over the past 300 years. The strategic location of the Project allows immediate access to the German automotive and downstream lithium chemical industries. This new NI 43-101 mineral resource estimate upgrades the PERC compliant report produced in 2014, and is based on 76 surface holes plus 12 underground holes completed in 2017. The upgraded resource is part of an ongoing FS at Zinnwald. To date, concentrator and roasting testwork and resource definition workstreams have been completed. The remaining FS workstreams, including mine design, hydrometallurgical testwork and engineering design, are all underway and proceeding on schedule. As a result, the FS is on course to be completed in Q2 2019. The upgraded resource has been reported in accordance with National Instrument 43-101 – Standards of Disclosure for Mineral Projects (“NI 43-101”) and was carried out by G.E.O.S. Ingenieurgesellschaft mbH (G.E.O.S). Bacanora is a lithium exploration and development company. As at the 31 August 2018 Cadence held 7.5% of Bacanora’s equity and 30% of Mexalit and Megalit joint venture companies. Mexalit is the owner of the El Sauz, El Sauz 1, El Sauz 2, Fleur and Fleur 1 mineral concessions, which forms part of the 20-year mine plan of the Sonora Lithium Project in Northern Mexico. As at the 31 August 2018 Cadence had the following key investments: 19.7% of the equity in European Metal Holdings, which, through its wholly owned Subsidiary, Geomet s.r.o., controls the mineral exploration licenses awarded by the Czech State over Cinovec; 7.5% of the equity in Bacanora Lithium Plc and 30% of Mexalit and Megalit joint venture companies. Mexalit is the owner of the El Sauz, El Sauz 1, El Sauz 2, Fleur and Fleur 1 mineral concessions, which forms part of the 20-year mine plan of the Sonora Lithium Project in Northern Mexico; 6.6% of Auroch Minerals Ltd; 4.5% of Clancy Exploration Ltd; 12.1% of Macarthur Minerals Ltd; 4% of the San Luis lithium exploration project in Argentina; 30% free carried interest in one mining lease and six exploration license in part of the the Yangibana Rare Earth Mineral deposit and a 100% interest in and exploration license on the eastern boundary of boundaries of Greenland Minerals and Energy Limited’s licences that encompass the world-class Kvanefjeld, Sørenson, Zone 3 and Steenstrupfjeld Rare Earth Element deposits. Cadence is dedicated to smart investments for a greener world. The planet needs rechargeable batteries on a global scale – upcoming supersized passenger vehicles, lorries and buses – require lithium and other technology minerals to power their cells. Cadence is helping find these minerals in new places and extracting them in new ways, which will meet the demand of this burgeoning market. Almost every major European carmaker will launch one or more electric vehicle (EV) models over the next 18 months. 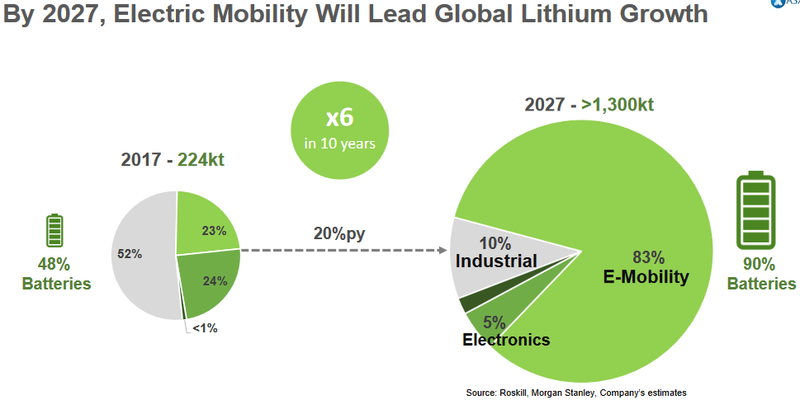 Next year will mark the start of a huge EV ramp-up for the world’s biggest carmakers — and that’s expected to have a serious impact on demand for key battery metals such as lithium, cobalt, manganese, HPA and nickel. 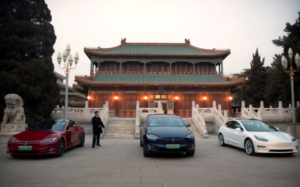 Euro car-makers have a lot of ground to make up on EV leaders Tesla, Nissan and Chinese manufacturers – who continue to break production and sales records every month. Tesla sold an estimated 22,250 Model 3s in September in the US alone according to this report — the highest ever for sales of a single plug-in electric car in a month, and the first time an EV has beaten 20,000 sales a month in the US market. French-owned PSA Group — which sells the Peugeot, Citreon, DS, Opel and Vauxhall brands — is undergoing an self-described “electrification blitz” from next year, as it aims for 100 per cent EV core models by 2025. This is a company that made net profit of about $2.4 billion on car sale revenues of $50 billion in the first half of 2018. Its Peugeot and Citreon brands showed off fully EV and hybrid versions of its popular models — due for rollout next year — at the Paris Motor Show last week. It also unveiled its beautiful, fully electric concept Peugeot e-Legend car. Germany’s Volkswagen Group estimates it will sell 3 million EVs in 2025. Of that, its I.D. models – which starts production next year – are expected to contribute 1 million of those sales. Audi, also part of the Volkswagen Group has started production of its e-tron EV ahead of full production in 2019; it’s expected to produce about 20,000 a year. And the first Mercedes-Benz vehicle under the fully electric EQ brand will be launched by mid-2019 – part of a range that is expected to expand to include 10 new models by 2022. 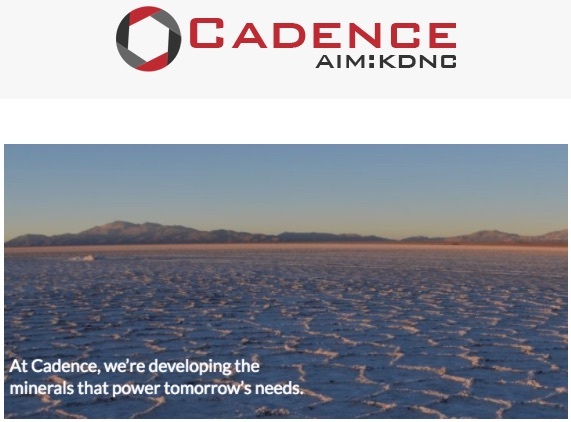 Cadence Minerals plc, (AIM/NEX: KDNC; OTC: REMMY), which invests in highly prospective lithium and rare earth mineral projects, announces its interim results for the six months ended 30 June 2018. · Completed test work on roast improving lithium recoveries to 95%. · Announced a revised pre-feasibility study which will envisage the production of lithium hydroxide which is currently priced at around US$17,000 per tonne. · Reconnaissance exploration was completed at San Luis lithium project which has identified some 10 thousand hectares of prospective ground of lithium bearing pegmatites. · Subsequent to the year-end Macarthur entered into an exclusive advisory agreement with UK based Capstan Capital Partners LLP (“Capstan”) to seek the necessary funding required to advance Macarthur’s significant iron ore projects located in Western Australia. 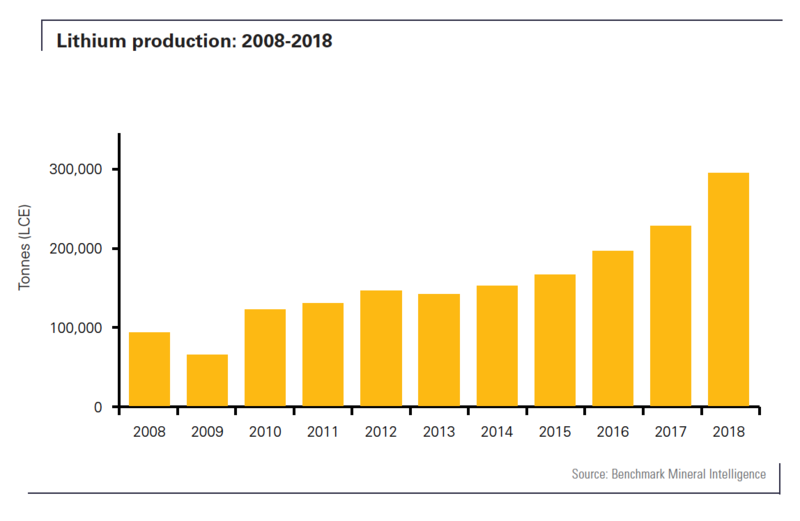 By most of the fundamental measures in supply and demand dynamics, whether it be constrained supply chains, strong product pricing or build out capacity for the product, the long-term outlook for lithium and lithium compounds remains strong. 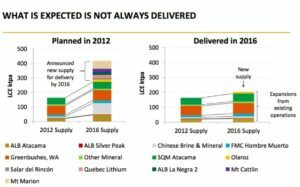 Nonetheless, for 2018, there have been several analysts that have continued to suggest a wave of supply of lithium compounds and therefore a softening in lithium prices. Our research and “boots on the ground” approach tells a very different story. The oversupply camp point to increasing capacity from China, Australia and the Atacama that will swamp the market. However, this fails to take account of two critical points. Firstly, the delivery of battery grade lithium compounds is not easy, even with the typical commissioning delays associated with mining projects, there is then the added aspect of a complex and capital-intensive hydrometallurgical plant, to get these commissioned and financed is difficult. Therefore, the reality is the supply will be delayed in our view, and only those projects with sufficient scale and competitive cost structure will be able to attract the financing to enter the supply chain. Secondly, the additional capacity from Australia is, for the large majority, shipped as spodumene to China, where it is converted to lithium compounds. So, to understand supply, you need to understand the conversion capacity of China, which by all accounts are struggling to install new conversion plants in time and will probably be only able to produce 200,000 tonnes of lithium carbonate in 2019. Both of the above point to a constrained supply chain and not a wave of supply. 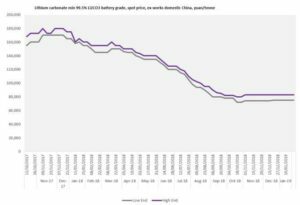 When we look at pricing over the period, several detractors will point to the drop in the price of Lithium compounds in China. 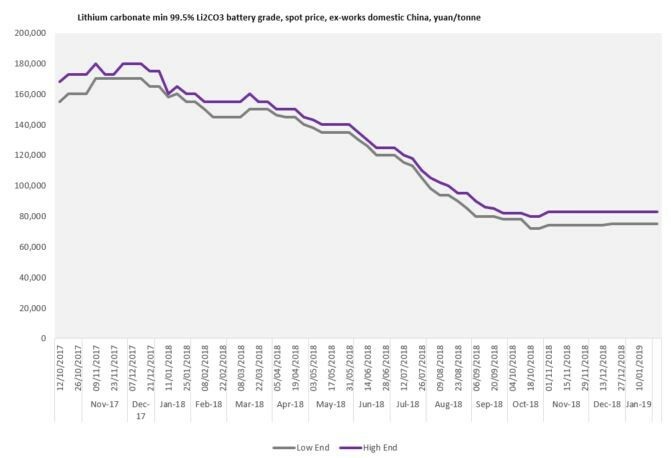 The reality is that Chinese pricing was influenced in part by brine projects in China needing to sell below battery grade lithium carbonate to fund operations. 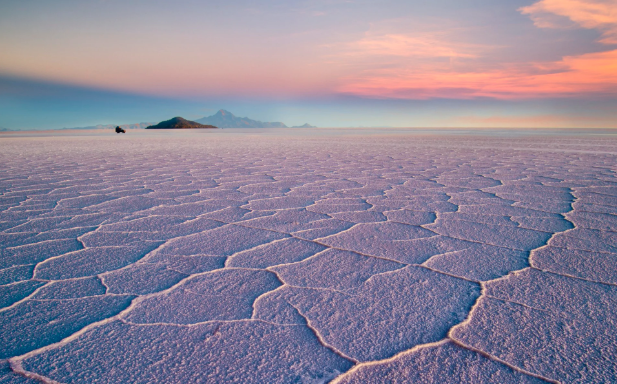 To us, the most representative pricing of battery grade lithium carbonate is from South America where pricing continued to increase over the year and currently trades at around US$15,000 per tonne of battery grade lithium carbonate. 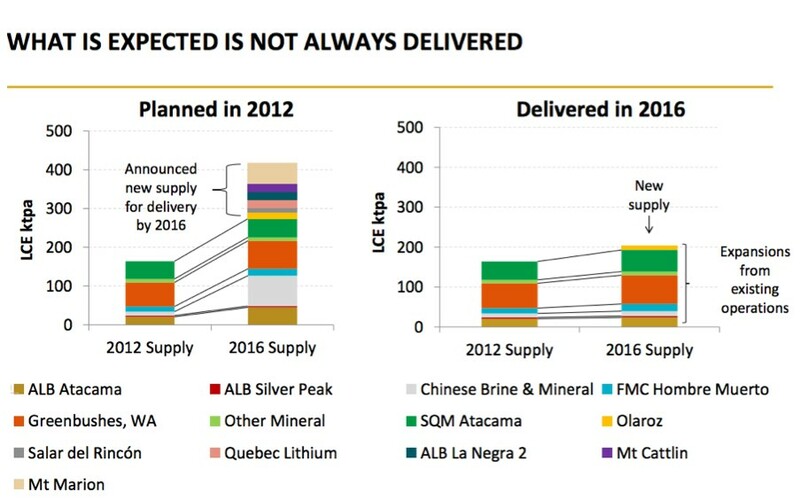 Despite all of these constraints in supply and the positive outlook on the demand side equities in the lithium market have softened considerably during the year with the Global X lithium ETF dropping by 19% over the six months to June 2018, with some lithium project developers dropping up to 65% over the same period. 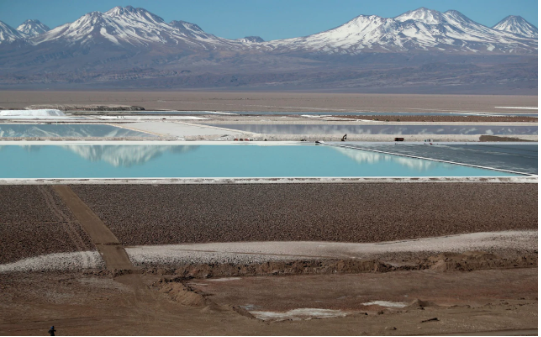 Our investments were not immune to this softening, and our principle two investments in Bacanora Lithium and European Lithium reduced in price by 20% and 53% respectively. This, in turn, was reflected in our share price performance which reduced by 33% over the period and our absolute return figures which were at the period ended 26% which is in line with the return figures on Global X Lithium ETF over the same period. Despite the performance of our investments, the underlying projects remain sound and have the right cost structure and scale to potentially be significant contributors to the battery supply chain. Of note was the progress that European Metals Holdings have made during the year. It has improved roast recoveries in their lab test work, and since the end of June 2018 they received approvals to carry out geotechnical drilling and announced that they would be carrying out a revised pre-feasibility study to produce lithium hydroxide which is scheduled to be published in the coming months. Given the pricing and demand for this compound, we would hope to see an improvement in the economics of the project. Bacanora continued to make progress during the year at a project level, however, as a result of market volatility in the lithium markets, it decided not to proceed with the equity portion of its project financing. It is continuing the front-end engineering design of the project and has drawn down US$25 million of its US$150 million debt facility. The board and its strategy have evolved significantly since 2014. Its focus since September last year is to invest in earlier stage exploration projects, as this is typically where the largest return is for relatively low levels of investment capital. The risk associated with investing in any resource projects at an early stage is high, therefore, and in order to mitigate this risk, our goal from the outset is to obtain a deep fundamental understanding of the resource, its chemistry and management team. By doing so, we can eliminate the many of the potential investments that we review during the year and fund projects that we believe will deliver value to our shareholders. We look to fund projects via earning in, at solely our option, and if at all possible look to incentivise our joint venture partners via equity in Cadence against deliverables that will add value. Importantly we also take an active approach to our investments by being part of the management team and enshrining our minority shareholder protections in joint venture agreements. During the six months, we have reviewed numerous projects, inclusive of brines in the Atacama, Cobalt in the USA, and pegmatites in multiple places in Africa, all of which had their attractions however they did not match our investment criteria so were rejected. We continue to review possible investments and seek out new opportunities always with the ultimate aim of securing an asset that has the potential to add significant value to our share price. The future remains very exciting for the Company. We will continue to review our investments in our investee companies, with regular meetings with management. 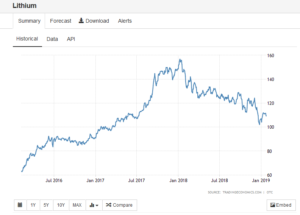 Importantly we will continue to examine the market perception of lithium and if required ensure we limit our exposure to further downside in our equity positions. At the period end Cadence owned 8.3% of Bacanora’s equity and a 30% stake in the Mexalit S.A. de CV (“Mexalit”) joint venture which forms part of the Sonora Lithium Project in Northern Mexico. 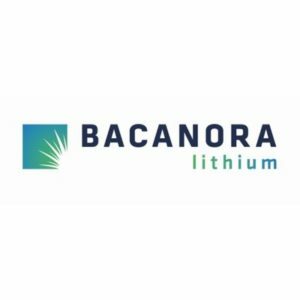 Bacanora has two lithium development assets, the Sonora Lithium Project and the Zinnwald Lithium Project. Bacanora has a 50% interest in, and joint operational control, of the Zinnwald Lithium Project. Zinnwald represents a strategic asset located near a thriving market for lithium and energy products. Bacanora’s principal asset is the Sonora Lithium Project in northern Mexico. The asset has Measured plus Indicated Mineral Resource estimate of over 5 million tonnes (‘Mt’) (comprising 1.9 Mt of Measured Resources and 3.1Mt of Indicated Resources) of lithium carbonate equivalent (‘LCE’) and an additional Inferred Mineral Resource of 3.7 Mt of LCE, Sonora is regarded as one of the world’s larger known clay lithium deposits. In January 2018 Bacanora published its Feasibility Study (“FS”) on the project. The FS targeted a two-stage open-pit operation, reaching 35,000 tonnes (t) of lithium carbonate (Li2CO3) per annum (“tpa”) in year four. The FS has a pre-tax NPV of US$1.25 billion and an IRR of 26%. The capital and working capital costs of the first stage of production (17,500 t of Li2CO3 per annum) is estimated to be US$460 million. Under our estimation, The FS mine plan currently has some 12% of the plant feed being mined from the 30% joint venture areas owned by Mexalit. After the period end, Bacanora announced its financing strategy and were able to secure a US$150 million debt funding from RK Mine Finance. Additionally, Bacanora was able to secure conditional investments totalling US$90 million from the State General Reserve of Oman and Bacanora’s off-take partner, Hanwa Co., Ltd. These combined financing represented US$240 million of the US$460 million required. In July Bacanora elected not to proceed with a further US$100 equity placing, citing current volatility in global commodities markets. Both our 8.3% equity stake in Bacanora and our ownership in the Mexalit joint venture could represent a substantial return for Cadence in the form of cash flow from the Sonora Lithium Project. Which we estimate could be as much US$106 million (net present value, 10% discount) using a lithium carbonate price of 13,000 per tonne and a dilution of 3X of the current equity on issue in Bacanora. This is of course contingent on Bacanora securing the necessary financing and executing the development of the Sonora Lithium project as per the FS published in January this year. At the end of June 2018 and as a result of share issues by EMH Cadence held a 19.7% in EMH, through this equity holding we have an economic interest in the Cinovec lithium and tin deposit. At an operational level, the Cinovec lithium project progressed well. However, this progress was overshadowed by Czech presidential elections and, in particular, the statement of the Czech Minister of Industry and Trade which purported to terminate the memorandum of understanding between EMH and Czech Ministry of Industry of Trade. As stated by EMH the termination of the MOU does not in any way affect the exploration rights of EMH tenure over its exploration permits. Despite this, there were substantial strides made in the development of the Cinovec Lithium Project. 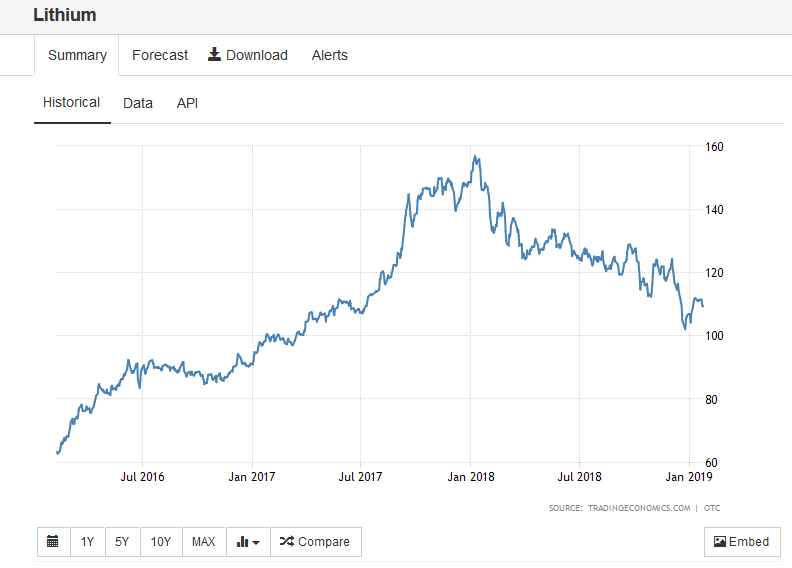 Of note was the improvement in lithium recoveries announced in March, which was increased to 95%. In addition, EMH continued to work on the pilot scale beneficiation work, this work along with the improved lithium recoveries meant that subsequent to the period end EMH was able to report increased lithium production from 20,800 tpa to 22,500 tpa. Moreover, EMH has commenced work on an update of the Preliminary Feasibility Study to model the production of higher value lithium hydroxide due to its increasing use in lithium-ion batteries. We expect the results from this to be announced in the coming months. In December 2017 Cadence Minerals announced that it had executed binding investment agreements to acquire up to 100% of six prospective hard rock lithium assets in Argentina. These transactions mark the start of the Company’s strategic shift to earn into early stage lithium assets in well-known lithium jurisdictions where we see the potential to deliver shareholder value by investing in projects that have shorter development timeline to cashflow than a typical lithium carbonate producer. The San Luis Project Consist of claims over 55,773 hectares for six exploration permits within the known spodumene bearing pegmatite fields in San Luis Province, Central Argentina. During the period under review the investee’s geology team, utilising a range of remote sensing and geographical information system (GIS) tools, have completed several desktop studies which identify highly prospective areas for lithium mineralisation in known spodumene bearing pegmatite bodies. Encouragingly, there are multiple indicators that confirm the presence of spodumene bearing pegmatite bodies including geological structural features, aero-magnetic radiometric data analysis, satellite imagery and differentiation in granitic bodies. The project team are now in discussions with third-party suppliers, including drilling contractors, and intend to fast-track the next phase of exploration as soon as regulatory approval is secured. On grant of the exploration permits Cadence will acquire up to 49% by spending £1.1m on exploration and drilling, and by issuing £0.4 million of new ordinary shares in Cadence to The Vendors. Cadence has an option to acquire up to 100% by issuing a further £1.75m of new ordinary shares in Cadence. During the period Cadence completed its initial £0.10 million investment for 4% of the exploration permit. At the end of the period Cadence had a 6.6% interest in Auroch Minerals, its focus over the period under review has been the development of the high-grade zinc, Bonaventura Project and the Arden zinc, copper-cobalt project. Drilling has commenced at both of these highly prospective projects, both of which are expected to take between six and eight weeks to complete. The Bonaventura Project contains several historic artisanal mines for zinc, lead, copper, gold and silver that were worked at various times up to the 1920’s. Soil-sampling over the Bonaventura Project has been completed with zinc anomalism following the strike of the regional Cygnet-Snelling Fault. The Vinco Target, which is situated 1,500m along strike from Grainger target, has previously been surveyed using high-resolution aeromagnetics, including induced polarisation (IP) and gravity surveys. The IP survey interpretation over the Dewrang target identified two-highly chargeable anomalies at approximately 200m depth over a strike length of over 400m. Anomalies indicate the potential for the presence of high-grade base-metal sulphides, making Dewrang a high-priority area for exploration. In addition to the base metal targets, the Kohinoor target remains highly prospective for gold mineralisation, with historic composite samples taken from the first level of the main historic workings. The Arden project consists of a Sedex type potential deposit. The Sedex potential was initially discovered by Kennecott (Rio Tinto Group) between 1966 and 1972, identifying anomalous Sedex-style zinc mineralisation up to 40m wide and with a potential for over 10km of the strike. However, since 1980 the area has been the focus of regional diamond exploration, and as such the Sedex horizon at the Ragless Range Target had not been explored. Auroch has moved quickly to realise the project potential, undertaking reconnaissance field mapping, rock-chip sampling,a reinterpretation of historical data and an Aeromagnetic survey before initiating its maiden drill programme in August 2018. Arden enjoys access to world-class infrastructure including the railway to Port Augusta, which passes just to the south of the tenement. Cadence at the end of the period had 12.1% equity interest in Macarthur, which is an Australian mining exploration company which has a diverse portfolio over multiple asset types, commodities and locations. During the period its efforts have been focused on the early exploration of its gold, nickel and lithium projects in Western Australia. However of most interest was the work that has been carried on its substantial Iron Ore Projects in the Yilgran Region of Australia, which have Mineral Resources comprised of Indicated Mineral Resources of approximately 54.5 Mt @ 47.2% Fe and approximately 26Mt @ 45.4% Fe Inferred resources. Subsequent to the year-end Macarthur entered into an exclusive advisory agreement with UK based Capstan Capital Partners LLP (“Capstan”) to seek the necessary funding required to advance Macarthur’s significant iron ore projects located in Western Australia. Macarthur has been reviewing its iron ore projects in light of the emergence of rail and port capacity through to the Port of Esperance and the cessation of mining at Cleveland-Cliffs Inc’s Asia Pacific Iron Ore projects and Mineral Resources Limited’s Carina project. At the end of the period, Cadence held 4.5% interest in Clancy, which focused its efforts during the period in acquiring and developing 100% of key cobalt licenses adjacent to the Bou Azzer Cobalt mine in Morocco, which is famous for being a primary cobalt producer. Initial surface sampling has been carried out, and due diligence has been completed. The acquisition is in the process of completion, and we await further news in this regard. Cadence owns a 30% free carried interest in the Yangibana North, Gossan, Hook, Kanes Gossan, Lions Ear and Bald Hill North rare earth projects (“Yangibana North Project”) in Western Australia. These projects form part of the larger Yangibana Rare Earth Project (“the Project”). The free carry is up to the commencement of the feasibility study. Hastings Technology Metals Ltd (“Hastings”), which is the operator of the Project and the owner of the remaining 70% in the Yangibana North Project, made considerable progress during the year to date. This included securing funding for the initial long lead items for the project and securing an offtake of Memorandum of Understanding with Tyssenkrupp Raw Materials GmbH. During the period we engaged with the management of Hastings, to discuss and review the reasoning why our joint venture areas are not included in the current mining plans. In conclusion, although mineral resources are substantial, using the currently envisaged beneficiation and hydrometallurgical process, the higher grade in the joint venture areas is offset by the higher processing costs associated with the ore. Therefore, Hastings envision that the ore will be included in the later stages of the mining plan, which is out of the scope of the feasibility study. In this regard, we view that our priority should be to look to extract value from the asset in the short to medium term. During the period, the Group made a loss before taxation of £4.60 million (30 June 2017: profit of £0.89 million; year ended 31 December 2017: profit £1.19 million). 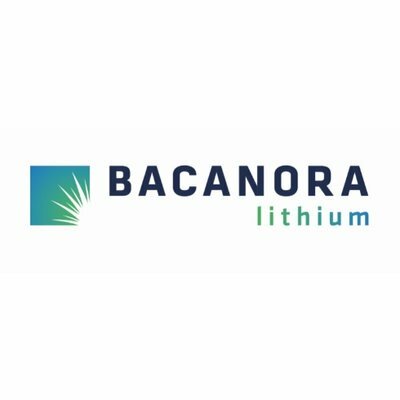 This was primarily due to a decrease in market price of our investments in Bacanora, following the overall trend in the market within lithium stocks. There was a weighted basic loss per share of 0.058p (30 June 2017: profit per share 0.011p, 31 December 2016: profit per share 0.015p). Foreign currency translation differences marginally increased comprehensive loss for the period to £4.66 million (30 June 2017: total comprehensive income of £0.84 million, 31 December 2016: total comprehensive expenditure of £1.88 million). Administrative expenses decreased by £0.33 million compared to the same period last year; this decrease was driven by cost-cutting measures across the board inclusive of an average 30% reduction in directors salaries, which took effect in April this year. We continue to reduce costs and expect this downward trend in costs for the remainder of this financial year. The total assets of the group decreased from £35.17 million at 31 December 2017 to £25.41 million. Of this amount, £9.95 million represent the market value of our available for sale investments at the period end. The reduction in the total assets is as a result of the decrease in the value of Bacanora equity, which was the primary driver for the decrease in available for sale asset value. It is important to note that this does not include our investment in EMH. Our investment in EMH is classified as an investment in an associate and held at a value of £12.9 million. EMH is classified as such because we hold in excess of 19% and Kiran Morzaria, the Chief Executive Office of Cadence is also a Non-Executive Director of EMH. Our borrowings of £4.18 million as at the 31 December 2017 reduced to £3.06 million by the end of the period as we paid back our convertible loans. During the period, our net cash outflow from operating activities was £0.45 million compared to £1.46 million during the same period last year. 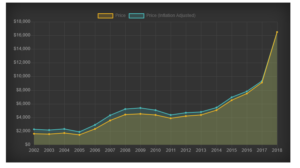 The variance is attributable to the decreased administrative expenses as highlighted above. We invested a further £0.47 million in blue-chip liquid stocks in the lithium sector. We disposed of £0.44 million some of which included the aforementioned lithium stocks as well as some Bacanora equity, which taken together provided a £0.10 million realised profit on disposal. We also paid back some £1.12 million of our convertible loan during the period, which was the primary driver in reducing our cash position to £0.2 million. The interim financial statements have been prepared in accordance with applicable accounting standards and under the historical cost convention. The financial information set out in this interim report does not constitute statutory accounts as defined in section 434 of the Companies Act 2006. The Group’s statutory financial statements for the year ended 31 December 2017 have been delivered to the Registrar of Companies. The auditor’s report on those financial statements was unqualified. The principal accounting policies of the Group are consistent with those detailed in the 31 December 2017 financial statements, which are prepared in accordance with International Financial Reporting Standards (IFRSs), as adopted by the European Union. The calculation of the (loss)/profit per share is based on the (loss)/profit attributable to ordinary shareholders divided by the weighted average number of shares in issue during the period. Brand CEO Alan Green talks Bacanora Lithium #BCN, Salt Lake Potash #SO4 & Great Portland Estates #GPOR with Justin Waite on the Vox Markets podcast. Interview is 8 mins 17 secs in.